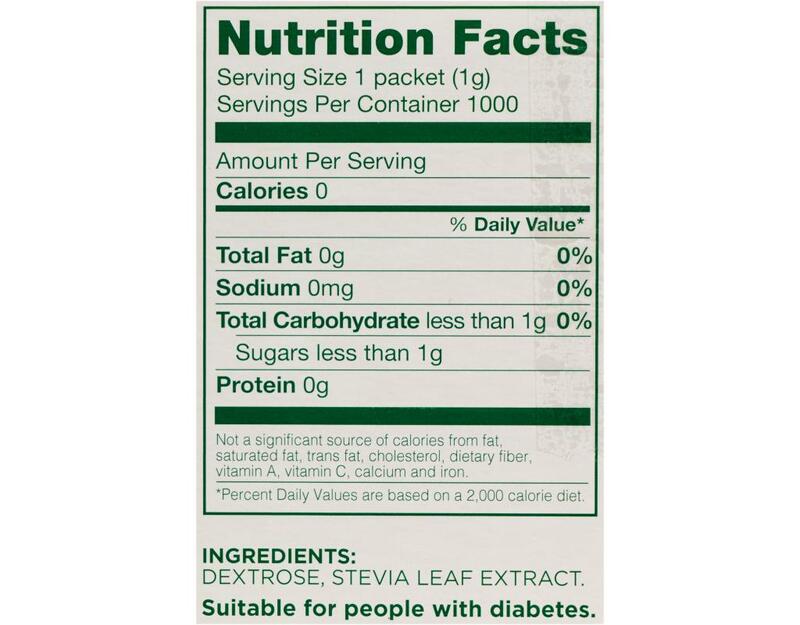 Real ingredients – nothing artificial! Born Sweet Zing products are made with only real ingredients for a perfect sweet taste, every day. 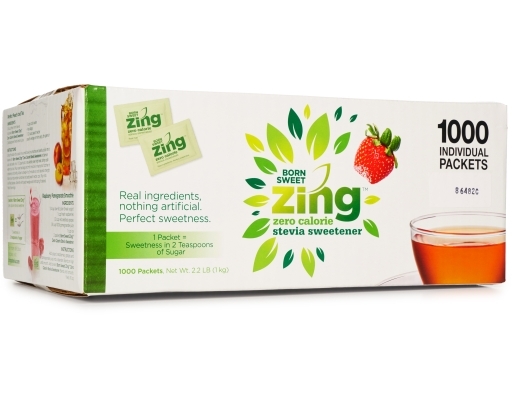 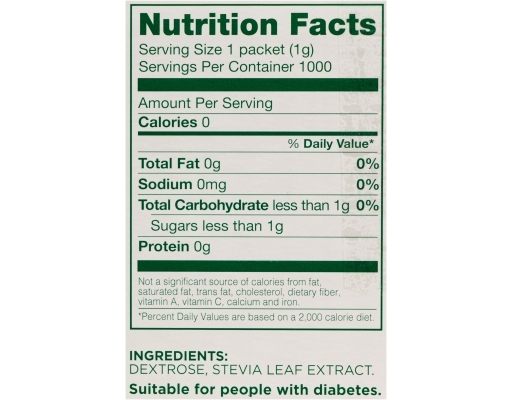 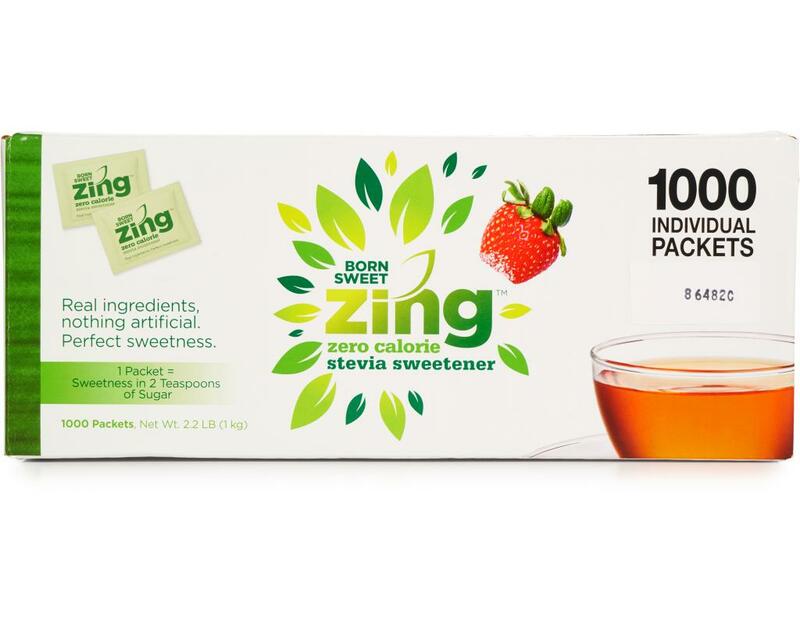 Enjoy the delicious sweetening experience of Born Sweet Zing Stevia Sweetener. Made with real ingredients, nothing artificial, it has the sweetness found in Mother Nature’s stevia plant, which means Zing was born sweet. 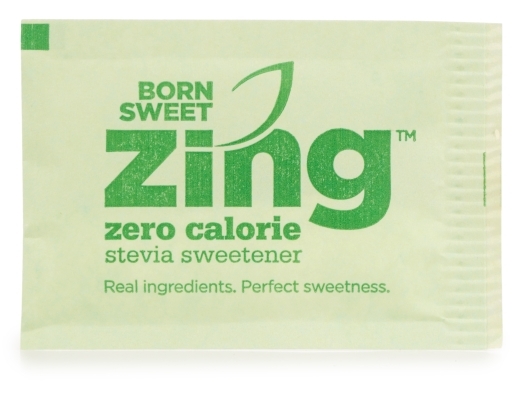 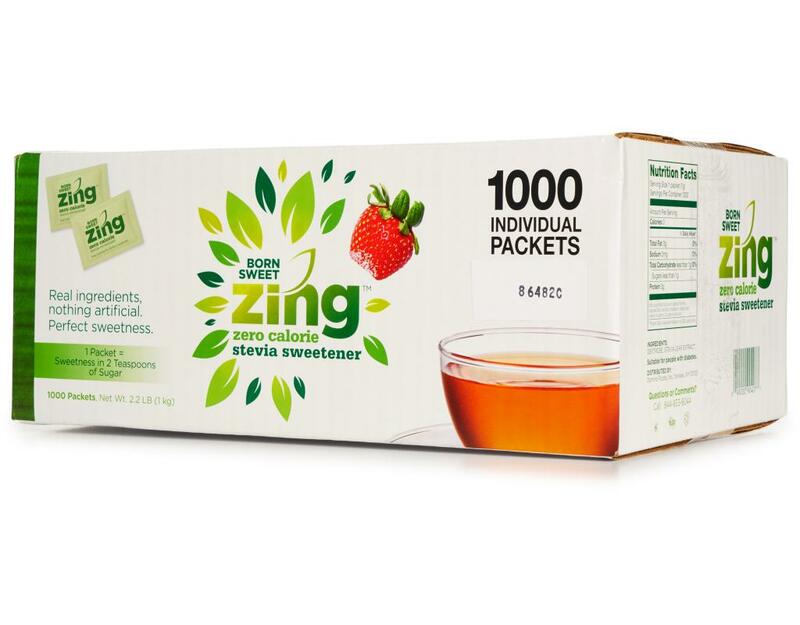 Zero calories make Zing perfect for adding a delicious sweetness to favorite foods and drinks throughout the day. 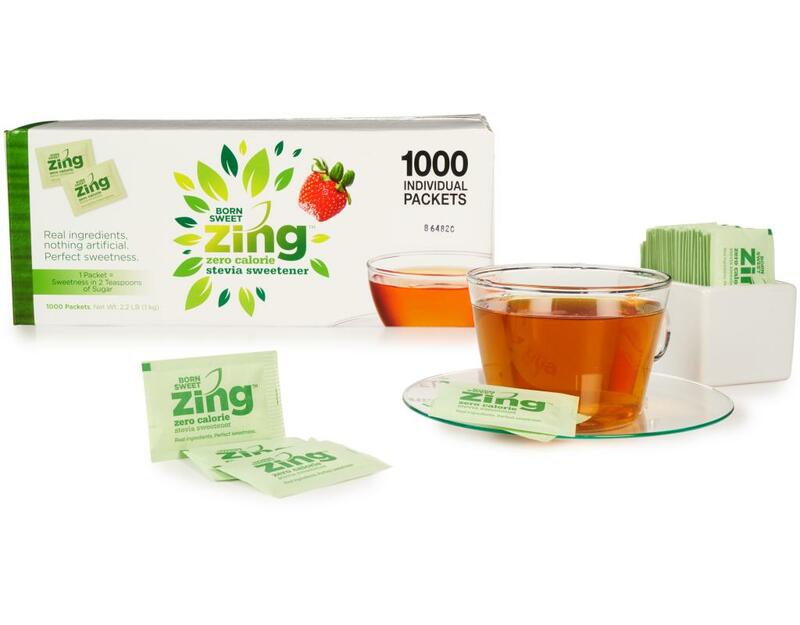 Sprinkle it into coffee, tea, or over fruit, or try it in homemade smoothies. Born Sweet Zing… a taste of sweet excitement. 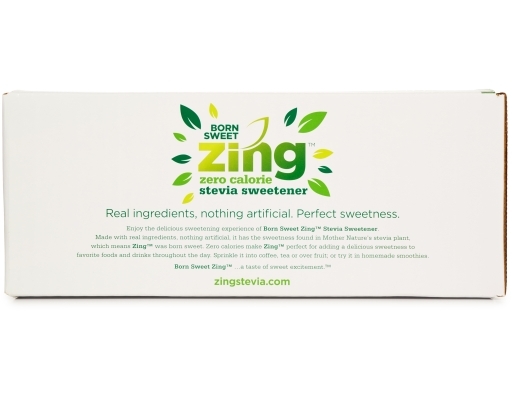 Real Ingredients, Nothing Artificial, Perfect Sweetness.